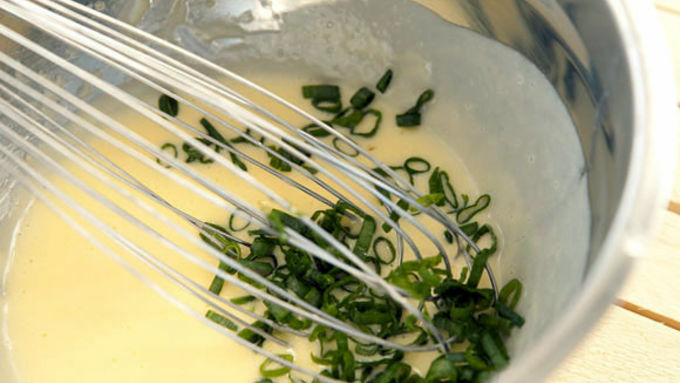 For hollandaise sauce, whisk together yolk with lemon juice and water. 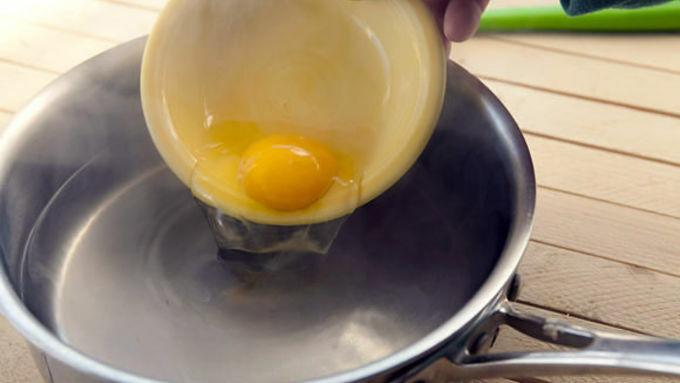 Place whisked yolks over a double boiler with simmering water. Whisk until steaming. Slowly start to whisk in melted butter until sauce is silky smooth. Add the butter slowly so it incorporates completely. After the sauce is formed, season it with salt and pepper and stir in scallions. Set aside until needed. Add a tablespoon of butter to a large skillet over medium heat. 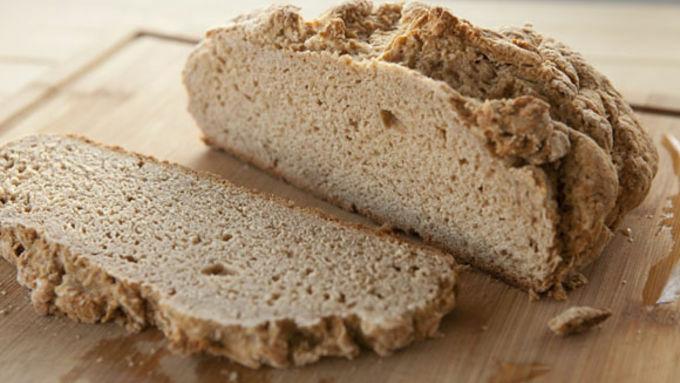 Once melted, add soda bread slices and toast until lightly browned. 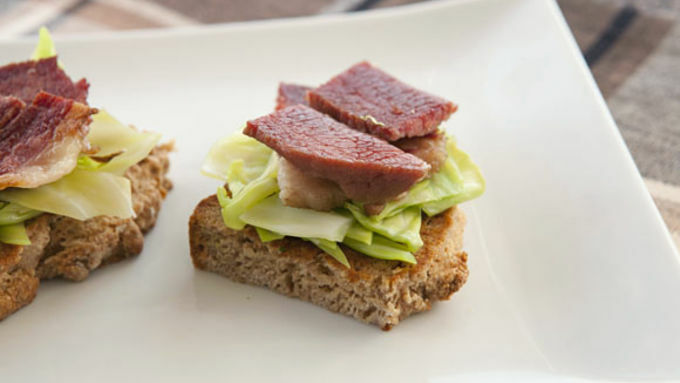 Remove bread and add corned beef and boiled cabbage. 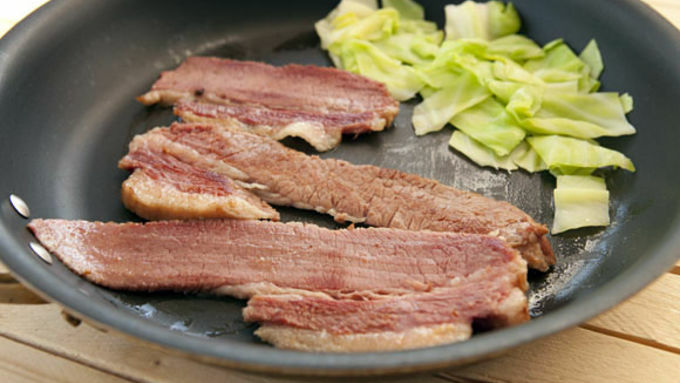 Sear the corned beef for about four minutes per side and keep the cabbage warm in an outer portion of the pan. For the eggs, add about 1/4 cup of white vinegar to two quarts of simmering water. Once simmering, stir the water to create a vortex and gently slide in cracked eggs. Cook two eggs at a time. Cook the eggs for about three minutes until the whites are set and the yolks are still slightly soft to the touch. Stack cabbage and corned beef on soda bread. When eggs are done, drain them carefully with a slotted spoon and a paper towel and then set them on top of the Benedicts. 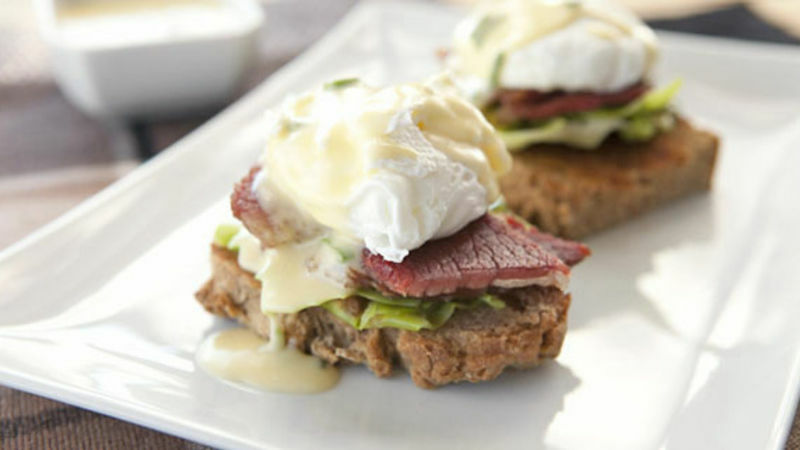 Drizzle the Benedicts with the scallion hollandaise sauce and serve immediately! Corned beef is one of those foods that walks the line between simple and elegant. At its core, it’s just pickled beef that has been cured and simmered, but if you make it at home you can customize the flavors and make it your own. No matter if you make it from scratch or have one prepared for you, you’ll almost certainly have leftovers after a big corned beef dinner. 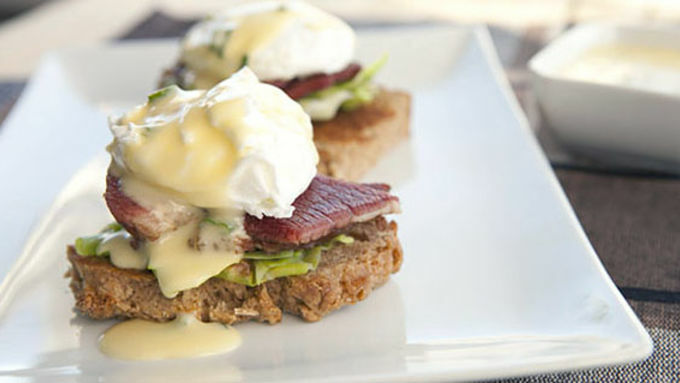 In fact, I would make sure you do – then you can make this Corned Beef Hash Eggs Benedict the next day! Obviously, you’ll need some corned beef to make these. I recently posted on how to make homemade corned beef on my blog, but you can also just get it from a deli if you didn’t plan ahead (it takes at least five days to make). A few slices of this and a hunk of cabbage and you’re well on your way to a great eggs Benedict. Traditionally, eggs Benedict is served on English muffins and you could absolutely use those for this dish. I had a loaf of soda bread left over from the night before, so I used it instead of muffins. When I’m making this dish, I always like to make my hollandaise sauce first since it’s pretty easy to reheat later. There’s nothing particularly tricky about hollandaise sauce. 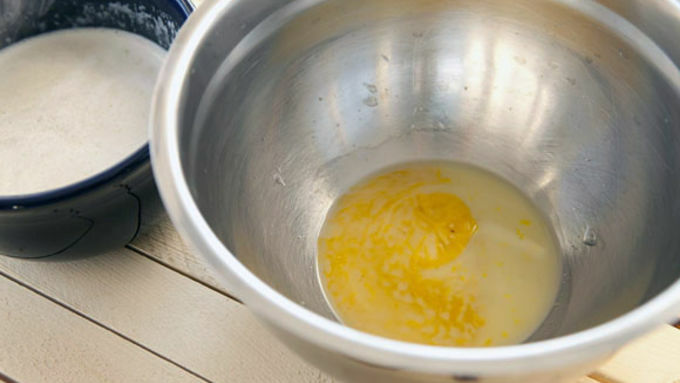 Just whisk together an egg yolk, some lemon juice, a drizzle of water, and a pinch of salt in a mixing bowl. When it comes to good eggs Benedict, I think the egg is the most important part. I add a few tablespoons of white vinegar to my water, which helps the eggs firm up. Don’t crack the eggs directly into the water. If you do, they will most likely break or you’ll get a shell in your egg. Crack the eggs into a small bowl and then carefully slide the eggs into the water. 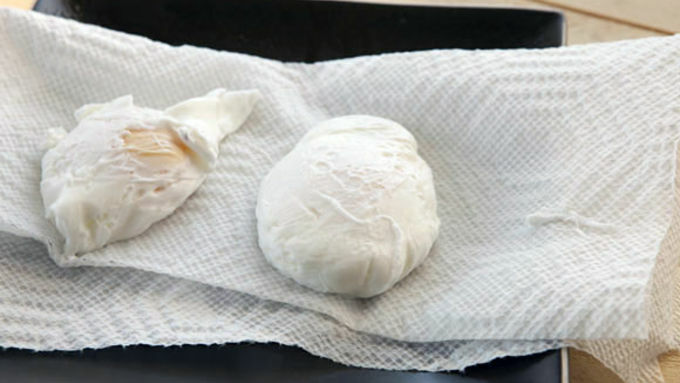 I also set my cooked eggs on a paper towel for a minute to drain off as much water as possible. The finished eggs should have firm whites but the yolks should give a bit. If they are completely firm, you overcooked them! Corned beef is simple peasant food at its base, but this dish takes it to another level. You’re basically eating leftovers but it tastes like you’re in a four star restaurant!